Green is my favorite color- after pink (the queen.) I used to think it's yellow, but I guess I changed my mind. There are only so many occasions you can wear yellow eyeshadow to anyways, right? But of course I still like yellow. Btw, Mac Bite of An Apple Blush on my cheeks and Inglot Lip Paint #66 on my lips. 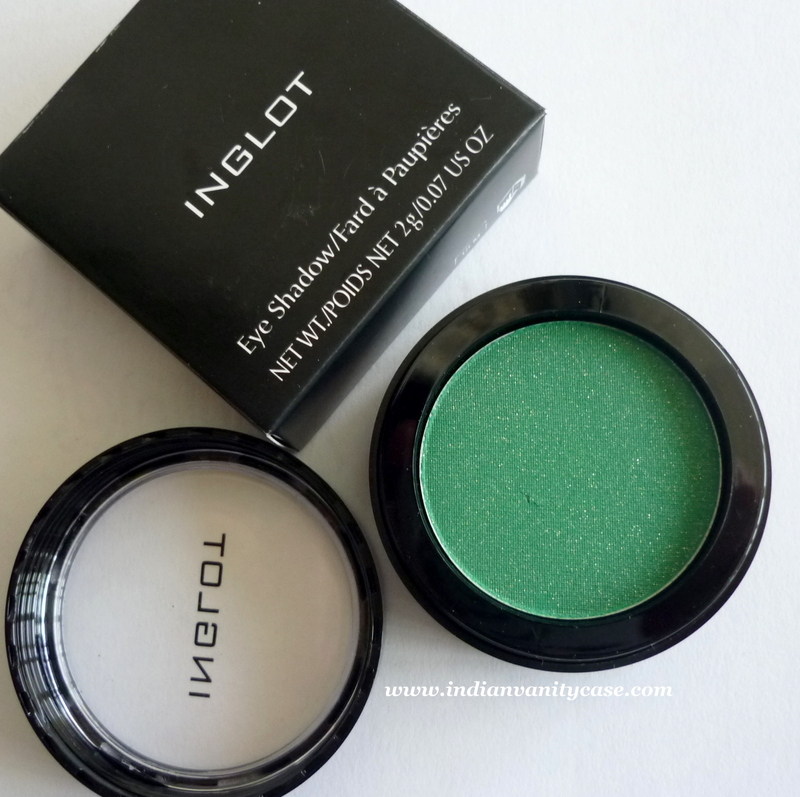 The green eyeshadow I love so much is Inglot Double Sparkle Eyeshadow #475. It is between forest green & emerald with gold sparkle. My eyes go to this every time I was at the store, but for some reason I didn't buy it until recently. This is not available in the refillable pans, unfortunately. So you have to pay almost double the price if you want this shade. The refillable pans cost Rs.300. D green is poppin' out & makes ur eyes luks beautiful. hey by d way wich mascara u hv usd its makin; ur lashes luk separatd & lengthend...??? Beautiful shade of green and looks so weonderful on you. 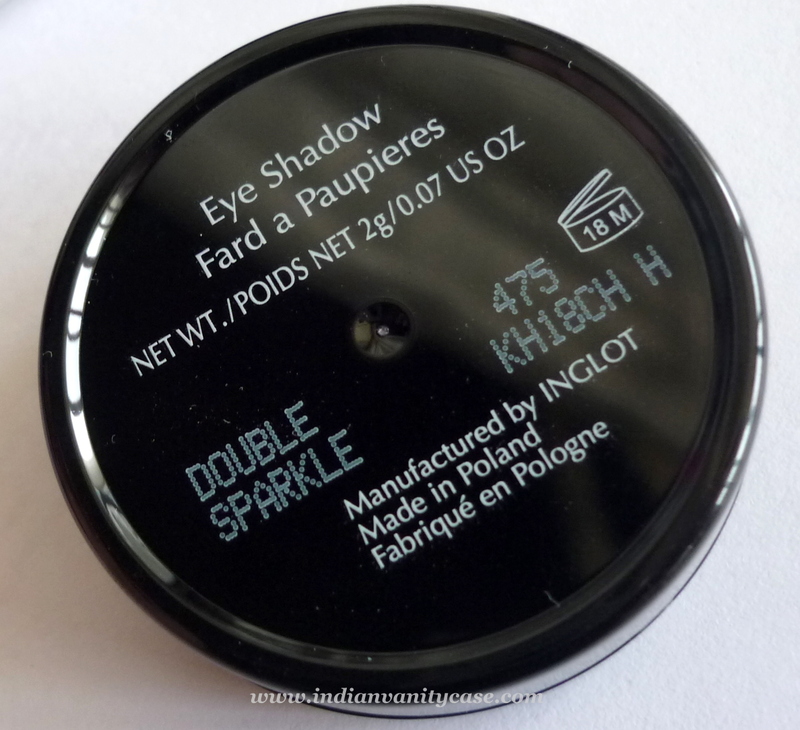 Your brown-hazel eyes are so pretty, and the eyeshadow brings them out more! I don't think Inglot is sold in Malaysia this is the first time I heard of this brand. Btw thanks for sharing! 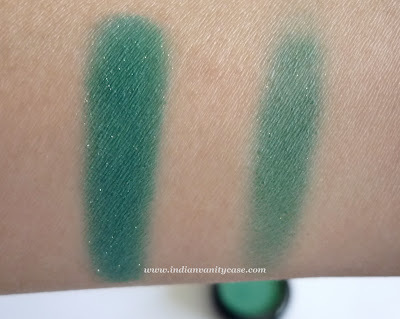 very pretty and so wearable! 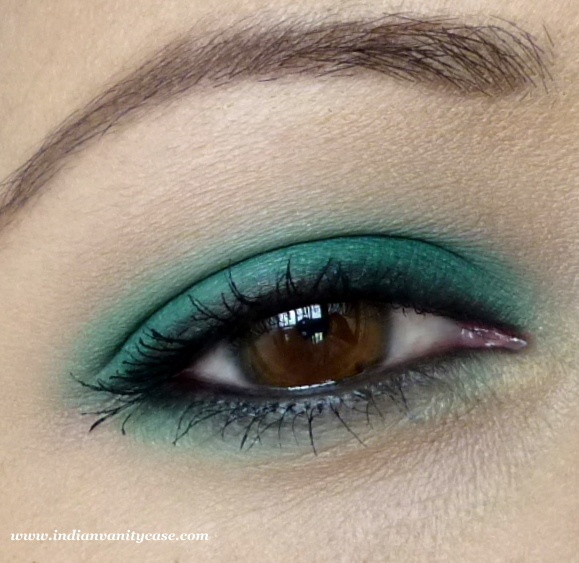 lovely color...looks fab on u..
thats a beautiful green, ur eyes look so mesmerising!! !